Is our fear of insomnia what’s actually keeping us up at night? You’ve heard we’re in the middle of a sleep deprivation epidemic. But here’s what you should know about that. THERE’S A CONTRADICTION BEHIND Jean O’Connor’s restless nights: She stays awake fearing what a lack of sleep will do to her in the morning. A speech pathologist in southern Connecticut, O’Connor says she’d never had trouble sleeping until a dozen years ago, when her two teenage daughters started staying out late. O’Connor worried until they came home, then more worries followed her to bed — about whether she’d remembered to pay the mortgage, whether she’d be too tired to work, whether she’d even have enough energy to go grocery shopping. Again and again, O’Connor would count how many hours’ sleep she’d get if she dozed off right now, then panicked once the count fell below six. Two years of Tylenol PMs left O’Connor feeling groggy, so her general practitioner prescribed 1 milligram of Lunesta, a sleep aid that, when you add in its generic version eszopiclone, was prescribed almost 3 million times in 2014, according to the health care consulting firm IMS Health. Lunesta wasn’t perfect , but the good nights far outnumbered the bad. When we spoke in July, however, the 59-year-old O’Connor hadn’t had a good night’s sleep in weeks. The Saturday of Memorial Day weekend, her pharmacy told her she was out of Lunesta refills, and she didn’t sleep until after reaching her doctor on Tuesday. Several days later, she underwent a previously scheduled knee operation and abstained from Lunesta while on pain medication — as a result, she slept only two hours a night for a month. She and her doctor once tried substituting trazodone, an antidepressant prescribed off-label to treat insomnia, but the relief faded. Now she takes trazodone on top of a Lunesta dosage that’s increased to 3 milligrams, the maximum allowable. Today, she says, she feels lucky if she gets five hours’ sleep. O’Connor’s profile fits under a familiar headline: We’re in the midst of a sleep deprivation epidemic. The Centers for Disease Control and Prevention (CDC), which calls insufficient sleep “a public health problem,” published a study in February showing that roughly 1 in 3 American adults regularly slept less than the recommended seven hours a night. Every year, some 40 million Americans experience insomnia, according to the National Sleep Foundation, and O’Connor is one of 9 million Americans who use prescription sleep medication. But to another faction of sleep researchers, the overstating of the sleep-deprived-society narrative is one of the main things keeping us up at night. They say we’re not truly sleeping less than recent generations — that sleeping nine hours is actually worse for you than sleeping seven, and that inflating the amount of rest we “need” sends anxiety-driven insomnia sufferers down a worrisome path, to the benefit of pharmaceutical companies. SUITE 4 IS ONE OF SEVEN ROOMS used for inpatient studies by the Division of Sleep and Circadian Disorders at Brigham and Women’s Hospital. It looks like where the world’s least imaginative decorator rests his head: empty walls, no windows, a desk, a bed, all stark white, as if someone has stretched a blank canvas over everything. But Dr. Elizabeth Klerman — an associate professor of medicine and neurology at Harvard Medical School, director of the analytic and modeling unit at the Brigham, and my guide — says at the pace of an auctioneer that the suite is part of the best sleep research lab in the world. Until the mid-20th century, scientists considered studying sleep a waste of time. But in the last 30 years the science of slumber has exploded, connecting dots between sleep and mental health, memory processing, hormonal function, and more. In another suite, Klerman and her colleagues are gauging various effects of specialized colored lights in a NASA-backed study. Lights like these, designed by a large group of researchers that included members of the Brigham staff, will soon be rocketed to the International Space Station. White lights blanket the ceiling of Suite 4. “Why don’t you take us down to four lux, please?” Klerman calls to a tech — “lux” is a measure of brightness — and the suite goes yoga-room dim. But when she calls for 2,500 lux, I momentarily think I’m beaming up to the mother ship. (“I didn’t even ask him to take us to 10,000 lux,” Klerman says.) In the context of a sleep study, these changes in artificial light affect subjects’ circadian rhythms, the 24-hour-ish sleep-wake cycles believed to control broad aspects of human biology. For instance, light — especially the wavelengths of blue light that beam to your eyes from laptops, iPhone screens, and other electronic devices — suppresses melatonin, the hormone that induces sleep. Caffeine consumption is one symptom of our bleary-eyed society: Energy drinks alone have grown into a roughly $10 billion industry. So are $3,000-plus Tempur-Pedic mattresses; the midnight-oil-lit corners of office buildings where all-nighters remain proof of dedication; the fact that we have a neologism for the same person closing up shop at night and unlocking doors in the morning (“clopening”); and the fact that our Republican presidential nominee boasts of sleeping four hours or less per night. (That would put Donald Trump in rare company: Short-sleepers, who function fine with fewer than six hours’ rest, represent as little as 1 percent of the population.) Even if you — like me — aren’t one of the estimated 50 to 70 million Americans with a sleep or wakefulness disorder like insomnia or sleep apnea, you know what it feels like to force your eyelids open when you want nothing more than a pillow. “There are many people in our society who, even if they want to get better sleep, are trapped in their situation by things outside of their control,” says Dr. Charles Czeisler, chief of the Brigham’s sleep lab, after he heard my 4-month-old son wailing midway through our phone interview. Besides wide-awake infants, those constraints include shift work; Czeisler says that jobs starting before dawn are among the fastest-growing employment sectors. Then there’s the litany of social gatherings, concerts, sports, and TV. “If you have to get up early, all these late-night activities are going to take a toll,” he says. Without enough sleep, pretty quickly we’ll notice we have trouble learning and remembering. Our motor skills deteriorate. We’re more vulnerable to illness. We become moody and prone to emotional outbursts. It’s not just all-nighters, either: Sleeping six hours a night for 12 days is roughly equivalent to staying awake for a whole day and night. When it comes to your performance, if you’ve been awake for 24 hours, you might as well have a 0.10 percent blood alcohol level, which is above the legal limit. (Klerman says sleep researchers are exploring chemical biomarkers of sleep deficiency that could lead to “the equivalent of a breathalyzer for when you’re sleepy.”) But the cure for short-term sleep deprivation is usually simple: Go to bed. Whether from fear or from enlightenment, segments of society have stopped looking at sleep as a slacker’s favorite pastime. Companies from Nike to Ben & Jerry’s to the Huffington Post — whose cofounder, Arianna Huffington, authored The Sleep Revolution, a best-selling plea for the world to get some rest — have employee nap rooms. As part of Aetna’s wellness program, the Connecticut-based insurance company pays employees up to $300 per year for logging seven hours of sleep on multiple nights. And for jet-lagged pro sports teams, gaming players’ sleep has become a secret weapon. Ahead of the 2013 Red Sox season, Czeisler helped players tweak their sleep habits—his suggestions included building a nap room at Fenway. The season ended with Boston clinching its third World Series in a decade and, for his efforts, the team gave Czeisler a championship ring and a spot in the victory parade. 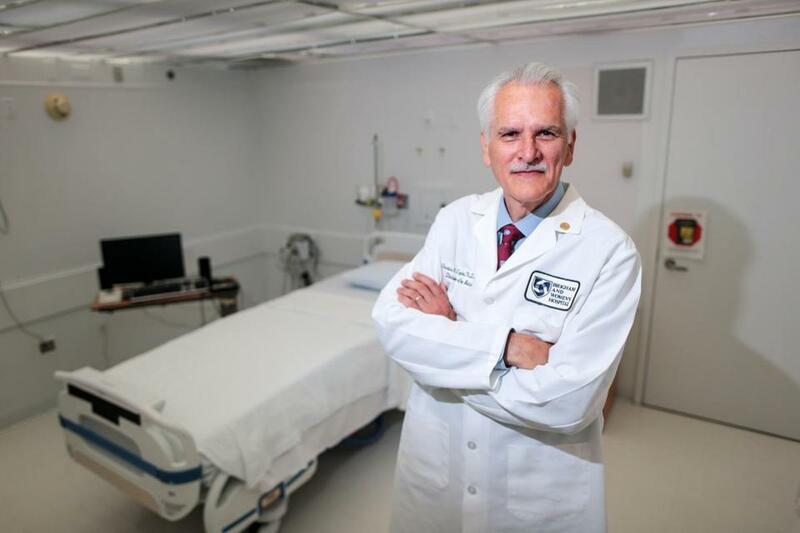 Dr. Charles Czeisler, chief of the Division of Sleep and Circadian Medicine at Brigham and Women’s Hospital, in the sleep lab. 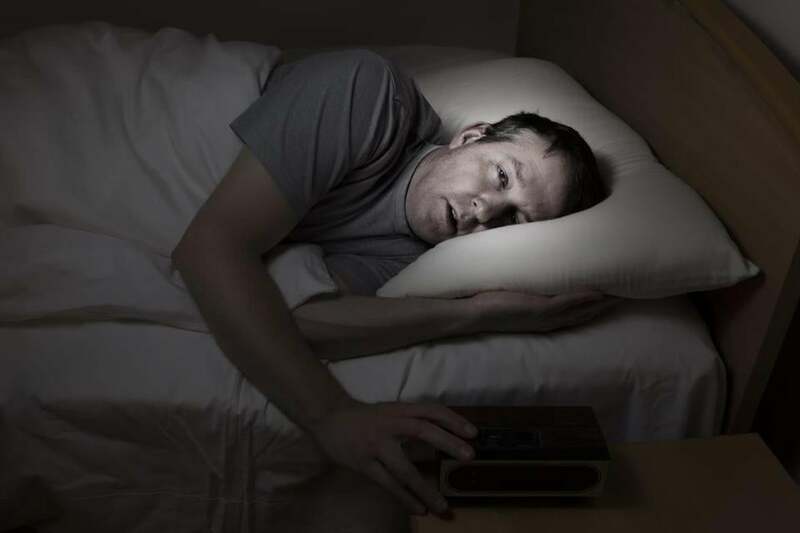 OVER THE PHONE, Gregg Jacobs spends 55 breathless minutes spelling out what he says labeling sleep deprivation an epidemic has done for his insomnia patients: It’s made them sleep worse, and it’s put some of them in danger. Spending endless hours in bed tossing and turning further fragments their sleep. (One hypothesis suggests that waking up repeatedly might be worse than sleeping fewer total hours.) Some admit to taking Ambien mixed with alcohol, opioids, or benzodiazepines. Jacobs — an insomnia expert at UMass Memorial Medical Center and an assistant professor of psychiatry at UMass Medical School — says they’re all chasing the misguided idea that the best thing they can do is get as much sleep as possible. But at a sleep symposium in June, Jacobs was heartened to hear that more sleep might not actually be better for us and that reports of the demise of our slumber have been greatly exaggerated. The encouraging message from a quartet of sleep researchers was delivered at a meeting of the American Academy of Sleep Medicine and the Sleep Research Society in Denver. Nick Glozier, a professor of psychological medicine at Australia’s University of Sydney and one of the symposium’s speakers, offers a few explanations for the persistence of the notion that sleep deprivation is an epidemic. It starts with us: Virtually every person sleeps incrementally fewer hours with age, which we falsely assume means our contemporaries get less shut-eye than our forebears. Instead of endorsing those Gallup Poll results that have us sleeping an hour less than previous generations, Glozier points to a Sleep Medicine Reviews analysis that found no evidence of healthy sleepers slumbering more in 1960 than in 2013. And last fall in Current Biology, a high-profile study of the sleep habits of modern hunter-gatherers — societies ostensibly isolated from artificial light and other sleep-inhibiting stressors — showed an average sleep time of 6.4 hours a night without adverse impacts. Glozier also points to evidence of publication bias in academia. For example, a 2011 review published in the journal SLEEP suggested academics were far more likely to cite colleagues’ studies that showed a decline in sleep duration rather than research that showed an increase or stasis. There are other sources giving momentum to sleep-deprived narratives: researchers who nod along as they secure grant money and keep their field in the public eye; manufacturers of medicine and sleep trackers who see economic opportunity beneath widespread apprehension; and media looking for big-problem-big-solution headlines. “No one in the health media ever writes ‘Things are actually OK, and they’re not getting worse,’ ” Glozier says. By vilifying reduced sleep (and neglecting the role of bad diets and sedentary lifestyles), we make an illogical leap, Glozier says: If less sleep is bad, then we should get as much sleep as possible. In a statement published in the Journal of Clinical Sleep Medicine last year, researchers from the American Academy of Sleep Medicine and the Sleep Research Society recommended that adults should sleep seven hours or more per night, with no hard upper limit. Sleeping pill use itself could be deadly under certain circumstances, though the limited research on that issue is far from settled. A 2012 study led by Daniel Kripke, an emeritus professor of University of California San Diego and a longtime critic of prescription sleep drugs, correlated prescription sleeping pill users with a more than fourfold increase in mortality compared to nonusers (the findings have been criticized). “Saying that everyone should sleep more — to the extent that they’re encouraging people to take sleeping pills — they are literally causing people to die earlier,” says UCLA’s Jerome Siegel. Jacobs himself advocates for cognitive behavioral therapy for insomnia (CBT-I), a psychology-based treatment often covered by insurance that involves setting healthy habits, such as regular bedtimes and regular exercise, and fostering attitudes that reduce anxiety and encourage rest without medication. All told, Jacobs says he has taught CBT-I principles to tens of thousands of people — he also sells versions of the program online — and points to multiple controlled trials that indicate 70 to 80 percent of patients have improved their sleep while reducing or eliminating sleeping pill use. BACK AT THE BRIGHAM’S SLEEP LAB, Elizabeth Klerman and I leave the blinding-white interior of Suite 4 and talk about the gray in the wider world of sleep science. That sleep deprivation increases reaction time or that we become dangerous behind the wheel after an all-nighter — those are basically settled issues. But how much sleep is enough remains an open question. Hypothetically — Klerman emphasizes that these numbers are imaginary, not factual — a person might need eight hours of sleep to feel rested and alert, but less for proper immune or metabolic function. “We don’t know how much sleep you ‘need,’ ” she says, miming air quotes. Part of that ambiguity comes from the shortcomings of sleep studies. Self-reported data — the backbone of large-scale epidemiological studies — are especially fraught, considering the hazy nature of sleeping itself. “Rumble strips would not exist if people knew when they were awake versus when they were asleep, right?” Klerman says. Fitbits and other consumer-grade sleep trackers don’t offer much more clarity: By mistaking motionlessness for slumber, they can overestimate sleep duration by as much as an hour. Simply asking how tired someone feels is problematic, because if they’re sleep-deprived, they lack the perspective for an accurate answer. While big conclusions from big studies should be taken with a grain of salt, Klerman says the same applies to her team’s small-population studies at the Brigham. “If I’m only doing a study with 10 or 15 people, how generalizable is that?” Ideally, sleep duration policy recommendations would be informed by a symbiosis of epidemiology and physiology. If a large study finds a link between sleep duration and lifetime risk of diabetes, a lab like the Brigham’s could design thoughtful, controlled experiments to explore that connection. To be clear, Klerman believes sleep deprivation is indeed a public health problem. She also cautions against long-term sleeping pill use and accepts that framing sleep loss as an epidemic could cause patients with anxiety-based insomnia to suffer (and says they should seek professional help). “That doesn’t mean that sleep deprivation is not a public health problem for many, many more people for whom [anxiety-based insomnia] is not the issue,” she says. Klerman recalls a woman approaching her to ask if it was OK that she fell asleep behind the wheel at red lights. Klerman’s response: No, it’s not OK, and you’re a danger to yourself and everyone around you. After leaving the Brigham, I eat a late lunch and drive from Boston back home to Connecticut in rush hour. By the time the road opens on I-395, my eyelids are heavy. I pull into a gas station and buy a 16-ounce can with enough caffeine in it to keep me moving. I’ll sleep when I can. I’m just not sure for how long. ■ Why are so many young professionals fleeing the Cape? ■ How did we become such shameless dog spoilers? Jeff Harder, a frequent contributor to the Globe Magazine, is a freelance writer in Connecticut. Send comments to magazine @globe.com.